As many of you know, mealtime can be a struggle with your children even with some of the best eaters! They can be picky or stubborn and it can sometimes seem impossible to get them the nutrients they need to fuel their busy bodies. However, a new craze is sweeping the food industry and it just might be the answer to all of your prayers. 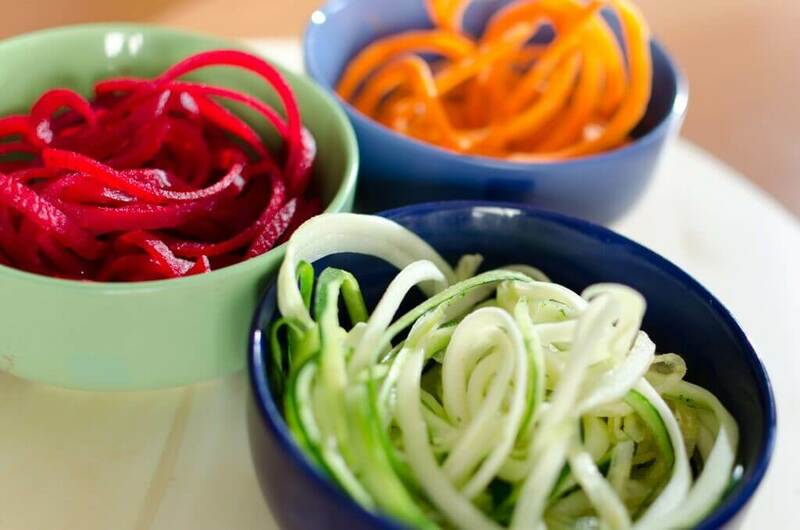 A spiralizer is a nifty little device that allows you to shave your vegetables or fruits into thin noodle-like shapes. If your little one hates the idea of gobbling his or her greens, creating zucchini noodles is a fun (and sneaky) substitute! Using vegetable noodles is a great way to add extra vitamins and minerals to your weekly “Spaghetti Saturdays”. Vegetables are amazing sources of antioxidants which help keep our bodies healthy and boost our immune system. Zucchini, being the most popular veggie to spiral, is a great source of fiber and a flavourful, calorie-light substitute. Spiralizers come in many shapes and sizes, from a small hand-held device to an impressive tabletop machine and can range in price. However, if you already own a julienne peeler or mandolin slicer, they can do the trick just as well! So why not bring a little fun to the dinner table and create some new swirly strings? Your kids will love the shapes and forget they’re not eating normal pasta noodles! Continuously growing in popularity, there are hundreds of spiraled recipes to choose from. Zucchini, carrot, squash, yam spirals and so much more, the possibilities are endless! So have fun and get creative! Spiralized vegetables and fruits are an amazing and fun way to eat more wholesome ingredients! Don’t limit yourself to spiraling just veggies! Fruits such as apples and pears make great spiraled desserts. 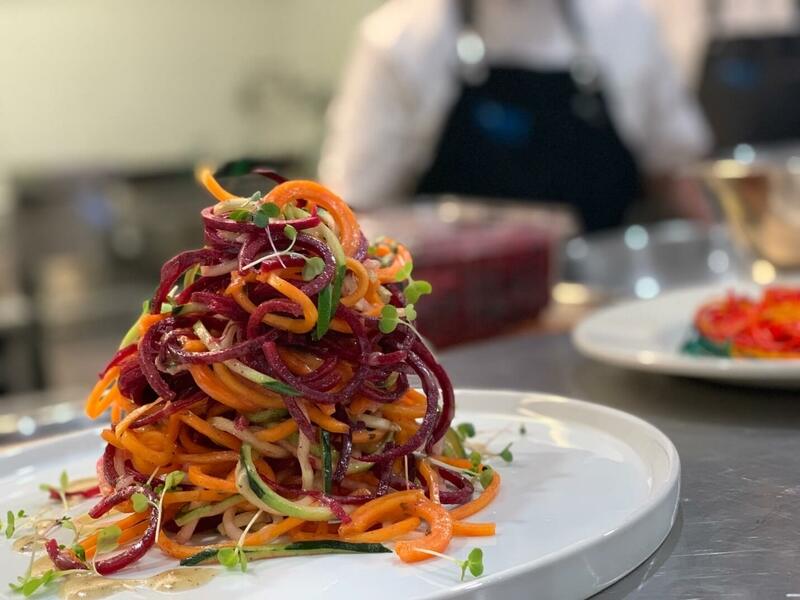 Spiralizing can help you get more out of your vegetables! When you spiral your zucchini’s or squash for dinner you are able to get more servings per piece compared to dicing or cubing! Avoid a watery sauce when cooking with spiralized vegetables noodles since they naturally are filled with moisture! You don’t always have to cook your spirals! If you’re making pasta, raw noodles can be just as tasty and add a delicious crunch.